Alfredo Arquillano, former mayor of San Francisco, Cebu Province, commenting on the decision to evacuate the entire island of Tulang Diyot ahead of Typhoon Haiyan. Following on from my previous post, here is a story about a community where intensive preparation for disasters paid off. The prompt evacuation of 1,000 people from a tiny island that had all 500 houses destroyed by Haiyan saved the entire population, according to Arquillano, a long-time champion for disaster risk reduction. He says residents of Tulang Diyot, an island off San Fransisco, should now be permanently relocated and helped to rebuild their livelihoods as fishermen and farmers somewhere safer. San Francisco is recognised as a role model by the U.N.’s disaster risk reduction agency (UNISDR). Read the full interview here. We mentioned earlier this week that people were not prepared for the wall of seawater that crashed inland partly because they did not know the term “storm surge” - used in weather warnings ahead of Typhoon Haiyan - could mean a tsunami-like wave. They expected strong winds and rain, not a massive tidal wave. Many survivors are now calling it “a tsunami”. This may not be correct, but it is a word they understand the implications of. A tsunami is generated by an undersea earthquake, whereas a storm surge is caused by extremely strong winds. If forecasters had used the phrase "tsunami-like", most people would have understood the gravity. This article by Devex again spells out the need for very clear communication ahead of typhoons. “I don’t think there was lack of information and update from the government, it’s just that down to the grassroots level, they don’t know what a storm surge really is,” said Oscar Lizardo, weather and disasters expert at the Philippine Department of Science and Technology. No one expected the storm surge to be as dramatic as it was, but it seems likely that clearer warnings in everyday language could have saved lives. 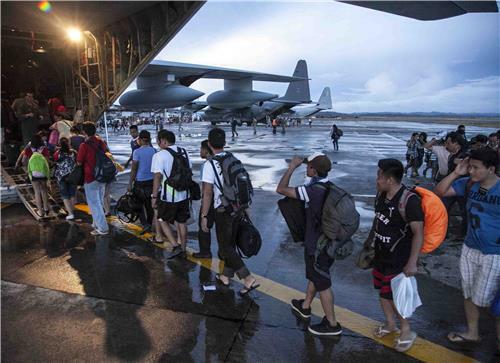 A U.S. aircraft carrier "strike group" started unloading food and water to the typhoon-ravaged central Philippines on Thursday. The nuclear-powered USS George Washington aircraft carrier and four accompanying ships arrived off wind-swept eastern Samar province, carrying 5,000 crew and more than 80 aircraft, after what strike force commander Rear Admiral Mark Montgomery called a "high-speed transit" from Hong Kong. "One of the best capabilities the strike group brings is our 21 helicopters," Montgomery said in a statement. 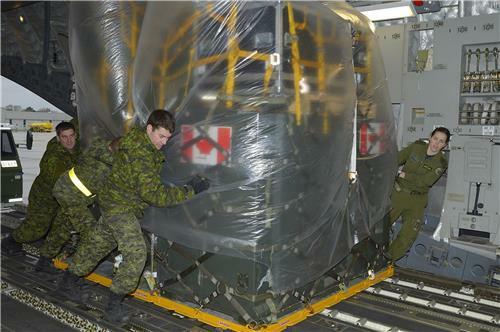 "These helicopters represent a good deal of lift to move emergency supplies around." Join aid agencies working in the Philippines for an online debate hosted by Thomson Reuters Foundation’s AlertNet on Thursday Nov 14 at 1200 GMT (0700 EST, 2000 PHT) on the challenges of delivering aid to survivors of Typhoon Haiyan. The humanitarian devastation in the wake of Typhoon Haiyan in the Philippines shows just how overstretched the global humanitarian community is, John Ging, director of the U.N. Office for the Coordination of Humanitarian Affairs, said Wednesday. 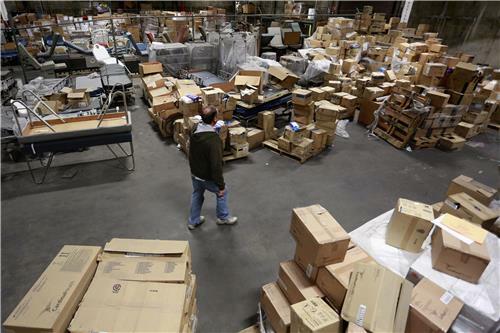 “One of the biggest constraints that we have is that we can’t fill the warehouses in anticipation of these disasters because we’re overstretched worldwide,” Ging told CNN’s Fred Pleitgen. Join aid agencies working in the Philippines for an online debate hosted by Thomson Reuters Foundation’s AlertNet tomorrow, Thursday Nov 14 at 1200 GMT (0700 EST, 2000 PHT) on the challenges of delivering aid to survivors of Typhoon Haiyan. Send your questions via Twitter #haiyanaid or go directly to our liveblog to post a comment. "In the aftermath of supertyphoon Haiyan (Yolanda) there are many reasons to grieve. Over the past few days, however, the Filipino people have seen many reasons to be grateful as well. Filipinos at home and abroad have, once more, come together to render aid and assistance to hard-hit areas. The thought that the community of nations stands in solidarity with our nation has also greatly eased our burdens. On behalf of the Filipino people, I thank the governments and peoples of so many nations—28 as of last count—as well as the donor organizations, who have pledged or already provided assistance, whether technical, financial, or in kind, for the relief and rebuilding efforts that we are undertaking in Leyte, Samar, and other provinces devastated by Haiyan." REUTERS VIDEO: Five days after a monster Typhoon ravaged the Philippines, aid is finally trickling in but desperate survivors struggle to find food and shelter. Mana Rabiee reports. For those looking to provide aid to Haiyan victims, The Daily Dot compiled a useful guide to the resources available through Google, Tumblr, Reddit and more. Click here to check it out. From Reuters TV: Philippine security forces exchanged fire on Wednesday with armed men amid widespread looting of shops and warehouses for food, water and other supplies in the aftermath of super typhoon Haiyan, local television reported. The firefight occurred in the village of Abucay, part of worst-hit Tacloban in Leyte province, said ANC Television. Military officials were unable to immediately confirm the fighting. A photo that illustrates why it is so hard to reach survivors: it shows the devastation near Roxas City on Panay Island, courtesy of ChildFund International. ChildFund is in Ormoc on Leyte Island and reports 90 percent devastation. 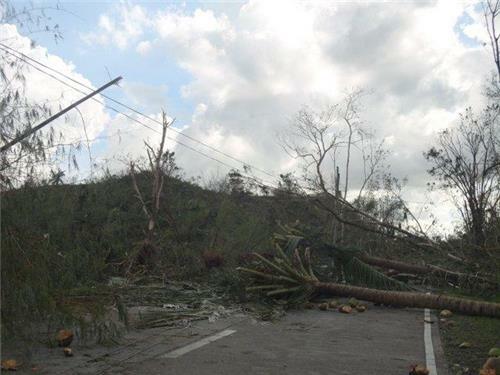 Haiti, the Philippines and Pakistan were hardest hit by weather disasters in 2012, a report issued at U.N. climate talks on Tuesday showed, as the death toll mounted from the latest typhoon to devastate the Philippines. Germanwatch, a think-tank partly funded by the German government, said poor nations had suffered most from extreme weather in the past two decades, and worldwide, extreme weather had killed 530,000 people and caused damage of more than $2.5 trillion. "The unfolding human tragedy caused by super typhoon Haiyan will only be captured in future reports," said Soenke Kreft, a co-author of the report issued on the sidelines of November 11-22 talks among almost 200 nations trying to reach a deal by 2015 to slow global warming. for Humanitarian Affairs and Emergency Relief Coordinator Valerie Amos. every effort to reach people." 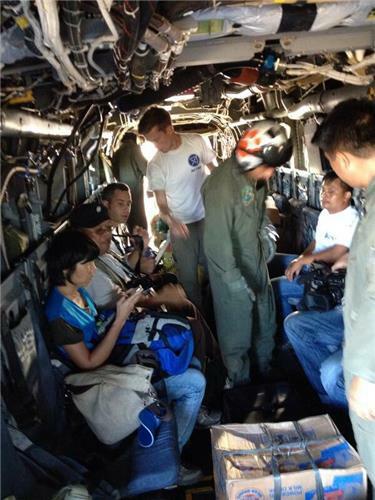 Amos arrived in the Philippines today and will travel to Tacloban tomorrow, a UN statement said. As relief efforts continue in the central Philippines, some are questioning the extent to which poverty played a role in typhoon Haiyan’s widespread destruction. 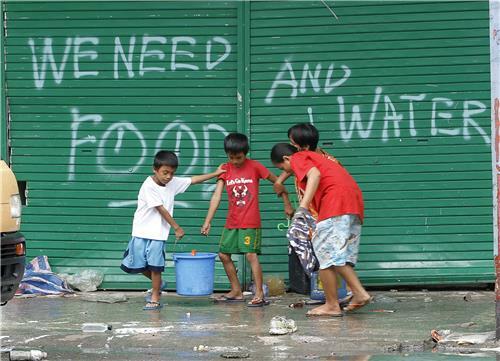 There is an urgent need to revisit the links between disasters and poverty. It is clear that education, early warnings, urban planning and building codes are key issues for renewed consideration in a world where all bets are off in terms of disaster impacts. Typhoon Haiyan is a major setback for those of us who thought that the world was becoming more successful in reducing loss of life from major weather events. One of clearest explanations for the Philippines' unpreparedness may, sadly, also be one of the most difficult to address: its poverty. The country is ranked 165th in the world by GDP per capita, just below the Republic of Congo. One result is that many homes are modestly constructed of light materials like wood. For more reading on this topic, also check out Guardian Assistant Editor Simon Tisdall's report. The latest from Reuters: President Aquino said in an interview on Tuesday that the death toll from the Philippines typhoon closer to 2,000 or 2,500, not 10,000 people. Aquino added that there was possible "emotional drama involved" in earlier estimate of 10,000 deaths, and that the Philippine government still has to contact about 29 municipalities to get death toll numbers. Could China's meagre aid to the Philippines dent its image? China's government has promised $100,000 in aid to Manila, along with another $100,000 through the Chinese Red Cross - far less than pledged by other economic heavyweights. The United States is providing $20 million and sending an aircraft carrier with about 5,000 sailors and more than 80 aircraft. Japan has offered $10 million and is sending an emergency relief team, while Australia has donated $9.6 million. China is a growing investor in Southeast Asia, where it is vying with the United States and Japan for influence. But its assertiveness in pressing its claim to the disputed South China Sea has strained ties with the Philippines. "The Chinese leadership has missed an opportunity to show its magnanimity," says Joseph Cheng, a political science professor at the City University of Hong Kong who focuses on China's ties with Southeast Asia. "While still offering aid to the typhoon victims, it certainly reflects the unsatisfactory state of relations (with Manila)." Even China's state-run Global Times newspaper, known for its nationalistic editorial views, expressed concern. "China, as a responsible power, should participate in relief operations to assist a disaster-stricken neighbouring country, no matter whether it's friendly or not," the paper said in a commentary. "China's international image is of vital importance to its interests. If it snubs Manila this time, China will suffer great losses." A Chinese Foreign Ministry spokesman said China would consider more aid as the situation developed, but did not say why Beijing had offered less than other countries. “It is totally unacceptable for governments to ignore this tragic wake-up call - without such urgency and concrete action to drive down emissions and provide climate finance more countries like the Philippines will face the devastating consequences of extreme weather events in the years to come." 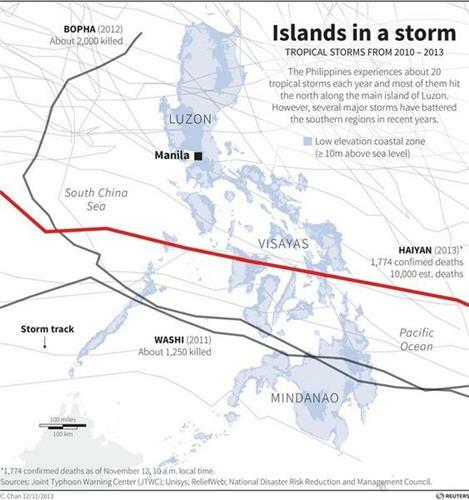 This Reuters graphic maps major storms that have passed through the Philippines since 2010. The red line shows Haiyan's path. I offer my deepest condolences to the people of the Philippines who are struggling with the devastating aftermath of typhoon Haiyan. The Philippines has been one of our closest allies and the U.S. stands ready to assist President Aquino and the people of the Philippines with humanitarian relief efforts. Our thoughts and prayers go out to loved ones who were lost or are suffering from this horrific storm. Head's up: UNICEF's Director of Emergencies will begin a Reddit "AMA" question-and-answer session momentarily (at 10 AM, EST). Click here to join.